One of my favorite salads is a Salade Nicoise. And oddly, it was not that easy to find in France. Come on, that’s where it’s from! 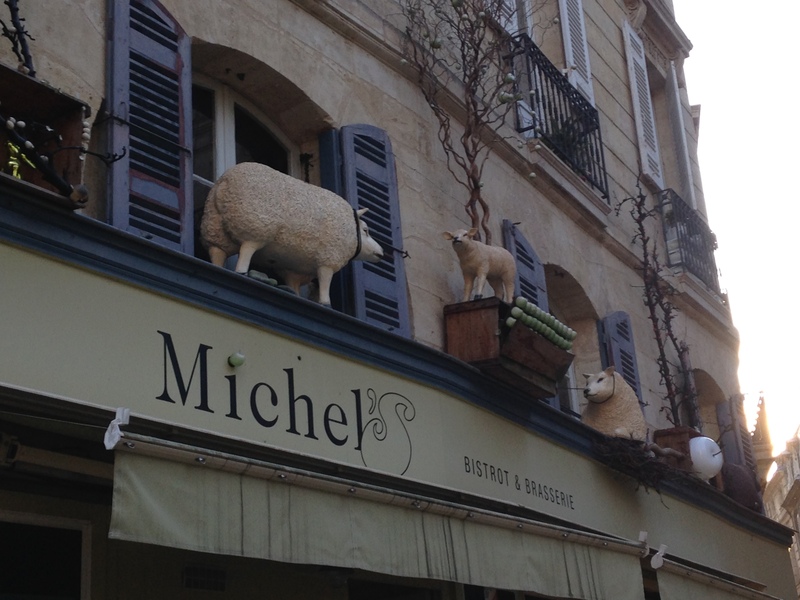 But on my last night in Bordeaux, I checked out the menu at a place that had caught my eye because of the cool decor around it — all sorts of neat animals — Michel’s. They don’t have a website so the best you can do google them at Michel’s, Bordeaux to get additional info. You can find lots of stuff. I obviously checked it out/decided to eat there since I am writing this post, because they had a great Nicoise on the menu. Absolutely perfect! Could not have asked for better. 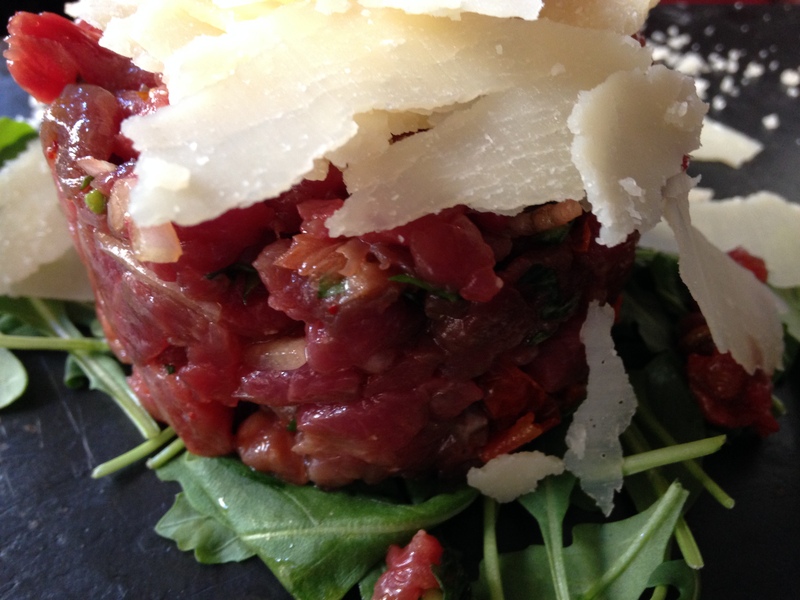 Some steak tartare was also enjoyed at the table, which also wasn’t seen all that much. Wine was consumed as well, but there was various glasses so I could not easily snap of shot of the label. They were packed and short staffed so could not easily ask to see the label proper. Great way to wrap that part of the trip. 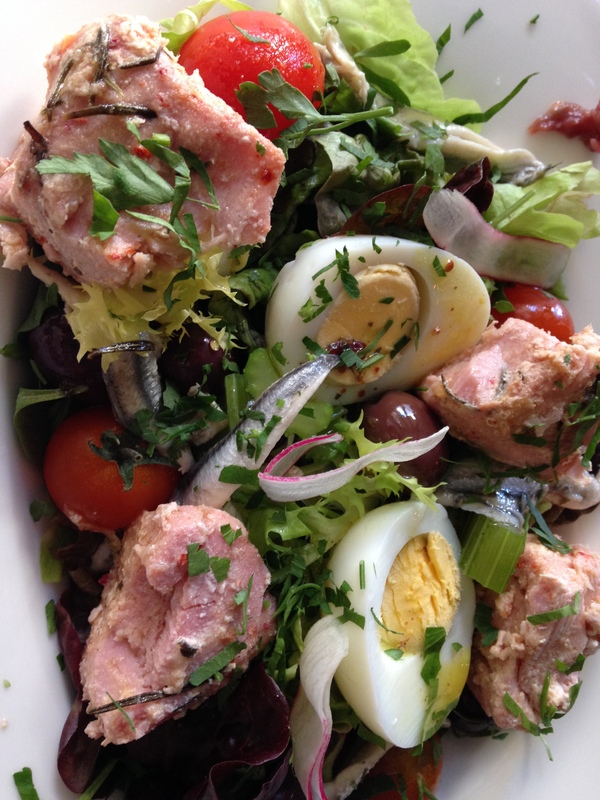 This entry was posted in dinner and tagged Bordeaux, france, michel's, Nicoise, salad nicoise. Bookmark the permalink.